On Track School is contributing greatly to the young racers in our sport of Motocross. Here, we talk to the founder of On Track to find out how it came to be, how the program works, and the differences they're making. First seen here on Racer X. The On Track School Program was created to help athletes accomplish their goals while continuing their education. It’s a program that should not only be encourage, but supported. Athletic careers are important, but an education is priceless. We got to chat with the Founder and Director of On Track School, Andrea Leib. 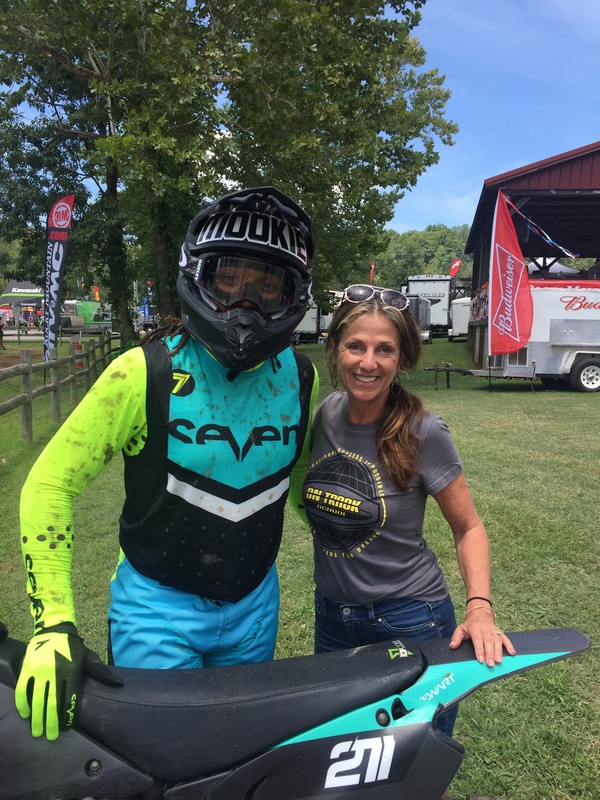 We learned exactly what the program is, what it offers, and what can be done to help encourage the success of future generations in the world of Powersports. 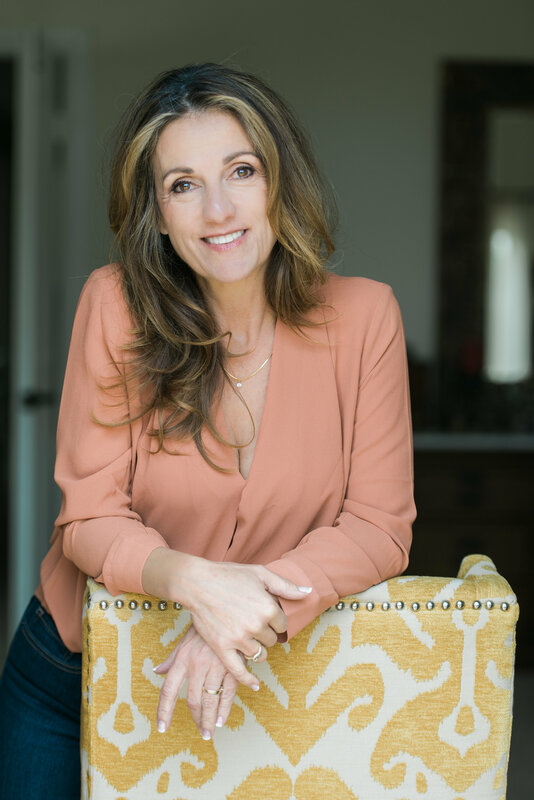 Andrea Leib, Founder and Director of On Track School. The On Track School Program is designed to help athletes accomplish their goals while attending school, what made you decide to start this program? Leib: Having a son who won several amateur motocross nationals since he was 8 years old, required us to travel as a family across the country in a sport where the season never ended. At the time, regular attendance in public school became an issue. Michael was going into 6th grade and our daughter Ali into high school at the time we decided as a family to look into other options. As a teacher with a Master’s Degree in Education I felt that the schools were not working with us, as they would have if our children were in more of a traditional sport such as ice-skating or golf. In addition, the work that they were given was not able to include the instruction they would be receiving in a classroom so my husband and I decided that we needed to take their education into our own hands. Education was the number one goal in our family and racing second. I found that I was not alone as we traveled to Ponca City, Loretta’s, Mini-Olympics, and endless qualifiers and regional events. I would tutor students at the races and soon realized a solution was needed on a larger scale, one that would allow students to work ahead so they were not trying to cram in endless assignments at a national race. I began with a group of 12 students and forged a plan as their teacher and over the last 15 years, On Track School evolved into the accredited private school it is today. For the readers who don’t know what On Track is, can you tell us more about the program? Leib: We are a non-profit, internationally accredited private Online School for K-12 learners as well as students who want to start college courses and earn an AA degree. We provide credentialed teachers who fully support our learners to succeed academically while they are pursuing their dreams; no matter what “track” they choose. We personalize an educational plan for each and every student that enrolls with us. We also provide curriculum options that include online, text based, or a combination based on the student’s individual needs and learning styles. A Learning Style Profile becomes the blueprint for creating this plan for our students. When asked what is the greatest difference compared to other programs that are available in the virtual space, I would tell you without question it is that we are one family which represents a community that goes the extra mile to close the distance in online learning. Our students and parents have access to our team, and our team is available to help in any way so everyone can succeed. How long has the On Track program been helping athletes achieve their goals? Leib: Since, 2003, On Track Custom Learning Solutions provided tutoring at events so that students would have the ability to stay in school while they traveled. I soon realized this was not ideal. As you can imagine, a racer is not thinking about fractions or English literature when there is a championship moto coming up! 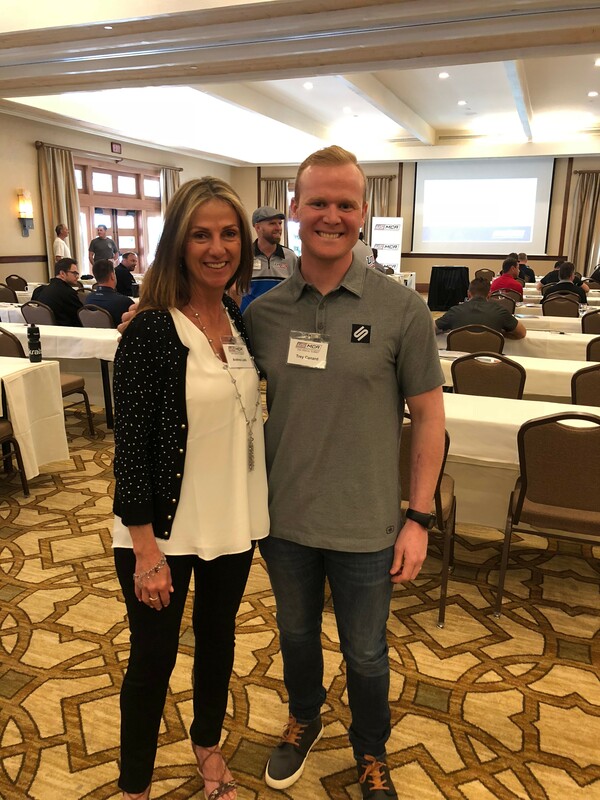 Professional Motocross retiree Trey Canard is a proud graduate on On Track School. What are your plans/hopes for the future of athletes and this program? Leib: We want to attract learners from all genres who would benefit from a program that allows them to succeed both on and off the track, whatever track they are on, be it dirt, water, air, tarmac, stage, music studio, or who choose an alternative path for their educational needs as well as those who choose to fast track to their future even if they are not an athlete. We have a goal to partner with promoters, OEM’s, and motocross related companies to ensure that students are continuing their education and instead of “non-schooling”. Imagine the statement co-branding scholarships would say to our industry. It is time we come together for our kids, the pulse of the future of our sport. Funding is a huge part of education and any program, how important are scholarships? Malcolm 'Mookie' Stewart is another professional MX and SX racer grateful for his education from On Track. We have not raised our tuition in ten years; in fact, this year we lowered our tuition for everyone. We did this for various reasons. However, we felt that this would help more students in need. I am very happy to share that in recent years we have seen major team owners step up for education for their racers who are enrolled and we struggling to make ends meet. Among the list are Red Bull, Rock Star Energy, Fallen Riders Foundation, and the Stewart Family. This is huge, because it demonstrates that there is an awareness of the importance of education for the rider as well as the need for financial assistance for the family. We are a family in the motocross/supercross industry and having this extend outward demonstrates that it does take a village in our sport and we are grateful to have these partners in education. We are a 501C-3, which means that all donations are 100% tax deductible. Wiseco wanted to support the difference OnTrack is making. Talk a little bit about the Wiseco scholarship. Leib: We are grateful for the Wiseco Scholarship, the impact is real as it resonates with me personally seeing a diversity of support within our industry as well as giving us the opportunity to share this blessing with those in need. Our retention rate is 96% and the 4% that withdraw are all due to financial setbacks, it is sad. Students do much better in our program, their grades soar, many excel even when they have been told they would never succeed, and one day mom or dad loses a job, get a divorce, suffer a natural disaster, or an injury takes place and they can no longer keep up with tuition. My husband and I personally donate $10,000 back into On Track annually to support various scholarships we offer at Loretta Lynn’s. When Kevin from Wiseco contacted us to learn more about who we are and what we offer students, he saw the need and shared it [with his colleagues at Wiseco, and they] made a generous scholarship donation. Needless to say, I was thrilled because there is always a need. This year, our young student, Thor Powell’s dad Greg had financial setbacks due to medical reasons. The honor of being able to call him and tell him that he didn’t have to worry about Thor’s educational expense on top of everything else was an honor and a privilege. We are a family. I wish I could do this for more families. The timing was a Godsend. Thank you so much, from the bottom of my heart. As many if not all, this dad has sacrificed so much for his son. It also hits home as a moto-mom for me. We do what we do for our kids; they are the pulse of our future and our sport. How many students are currently enrolled or have participated in the program? Leib: 118 students are enrolled today, 545 total enrolled to date. 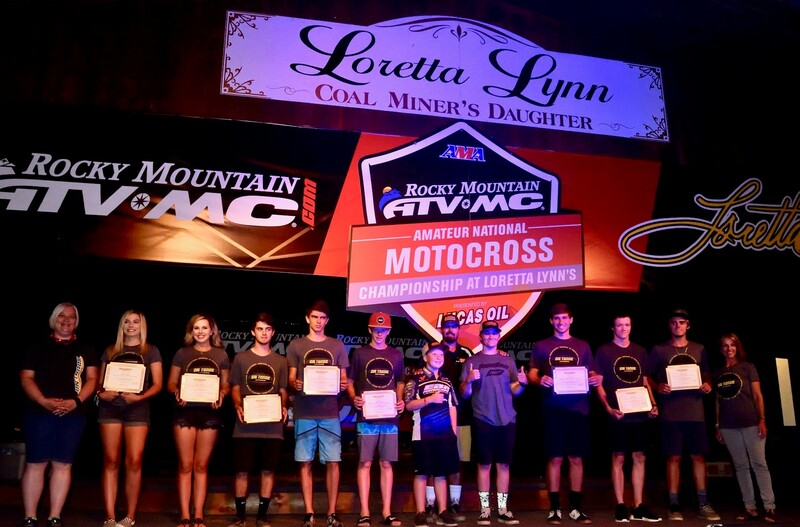 A list of our most recognizable graduates include: Trey Canard, Malcolm Stewart, Weston Peick, Blake Wharton, Ian Trettel, Sara Price, Ashley Fiolek, Michael Leib, Sean Cantrell, Tyler Villopoto, and over 500 students to date. Andrea wanted to share some important final thoughts. Leib: Our high school graduation takes place every August on the big stage in the Grand Pavilion at Loretta Lynn’s at the Amateur National in Hurricane, Tennessee with no other than our very own Master of Ceremonies, Tim Cotter. Families fly in grandparents, aunts and uncles for this event and cheer on their graduates. It is such a great testimony of the hard work and dedication of our students. On Track School Graduations take place annually at the historic Loretta Lynn's Amateur MX venue. Family and friends from all around gather to share the joy of success with their loved ones. Currently, we have 70% motocross racers and are growing in Nascar, kart racing, golf, horse events, and enrolling students who wish for more customized education with more support outside of a brick and mortar school which is now a safer environment for many. We became On Track School shortly after and made the important decision to begin our accreditation journey in 2010 as a partner with AdvancEd, an accreditation organization serving 32,000 schools globally. Most recently, our elementary school enrollment has increased and we are encouraged that parents are prioritizing education at an early age. With many up and coming riders, both boys and girls, we are excited to partner with our families for an educational journey where we can provide these learners with the ultimate experience while they travel and pursue their goals both on and off the track.